Pahalgam is a town in Anantnag district in India’s northernmost state of Jammu and Kashmir. Pahalgam is located at an altitude of 2130 m at the confluence of a stream from Sheshnag Lake and the River Lidder in Kashmir. 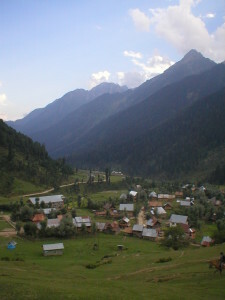 Once a shepherd’s village, Pahalgam is now a fully developed hill resort and has some good hotels and tourist amenities. The hill station is also the base camp for the pilgrimage to the Amarnath Caves. It is a popular tourist destination. Pahalgam is not a mere hill-station. Its a recreation resort. It’s like going into the lap of nature to do many things – one of the best – that “do-nothing”. You want to have a romantic trip with your beloved, want to get together with you family, and have what they call a ‘quality’ family time, you want to do those little interesting things with the family and kids, like take a pony ride, just picnic next to a beautiful river, just lie down under the sun next to your ‘hut’ with fresh breeze blowing, and read a book, or have a game of cards. Go to a cosy market and have a cup of coffee, or eat normal not-cooked-at-home food, or shop some of the exquisite of Kashmiri handicraft. 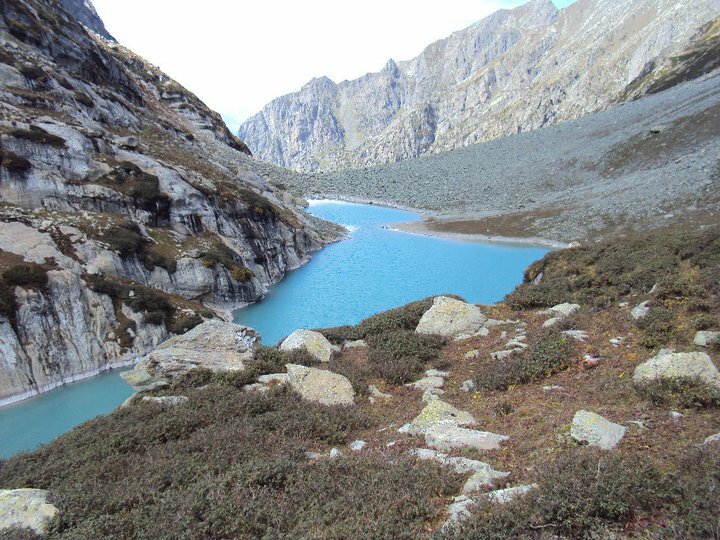 Tulian Lake : The 11 km long route beyond Baisaran takes you to the Tulian Lake at an altitude of 3,353m. The lake remains covered with snow most of the year and offers a number of adventure sports. 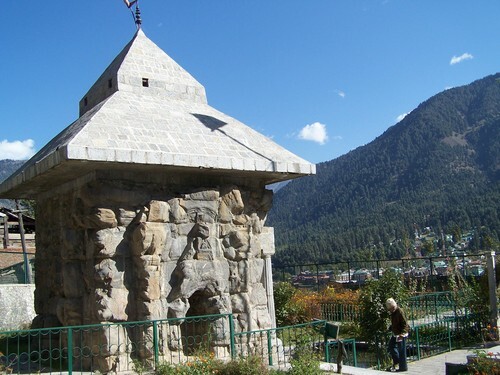 Mamaleshwara Temple : Located at a walking distance from Pahalgam, Mamaleshwara Temple is devoted to Lord Shiva. This small temple has a square shaped tank made of stone. The temple is believed to have been built in the 12th century or even earlier. 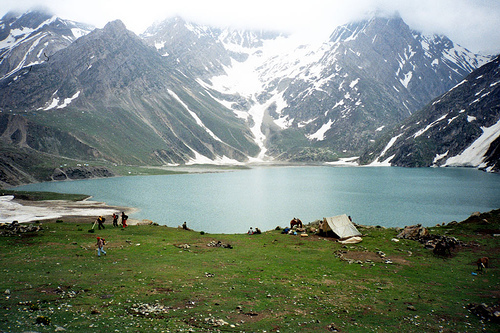 Sheshnag Lake : This greenish blue lake remains covered with snow till June. Located at a distance of about 13 km from Chandanwari, the lake is 11,330 ft above sea level. The place has seven peaks which together look like the head of Sheshnag (the sacred snake in the Hindu mythology). The lake is known for various sports activities. 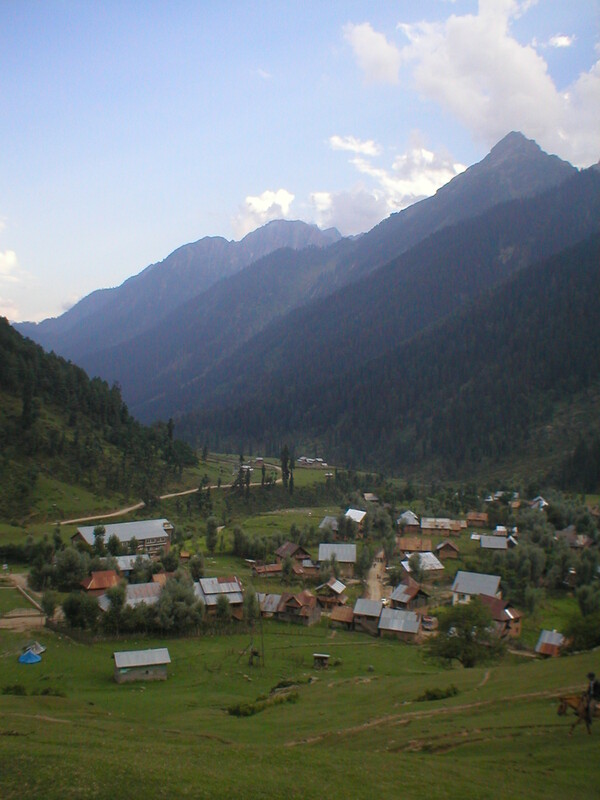 Aru Village : This small village, 48 km from Pahalgam, is the starting point of the trek route to Lidderwat and the Kolahoi glacier. It lies on the left bank of the Aru river. Aru is a beautiful village inhabited by Gujars. People live in log huts with their flocks of sheep and goats. The village offers outstanding views of the hills. Baisaran : This beautiful meadow is located 5 km from Pahalgam and 150 m higher. Offering picturesque views of the snow-clad mountains, the meadow is dotted with pine forests. Hajan : This is an ideal destination for family picnics. The scenic beauty of Hajan is captured many a times in several bollywood movie scenes. Chandanwari : Chandanwari, lying 16 km from Pahalgam, is the starting point of the Amarnath Yatra. 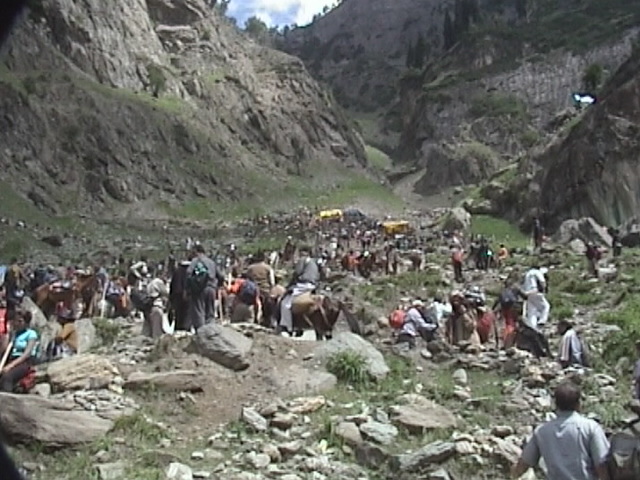 Mostly people trek this route in the months of Sawan according to the Hindu calender (July to September). Chandanwari is the mountain lake of Sheshnag. Amarnath Cave is just 6 km from Chandanwari. The cave and holy shrine at Amarnath is devoted to Lord Shiva. Its main attraction is the natural Shivalinga formed by an ice stalagmite. This shivalinga waxes and wanes with the phases of the moon. Pahalgam offers a number of hotels and lodges from budget class accommodation to the luxurious one. Apart from this, one can find good facilities in trekkers’ lodges, and JKTDC’s fully furnished huts. By Air : Srinagar, 95 km, is the nearest airport. By Rail : Jammu is the nearest railhead that is connected to other cities by NH 1A. By Road : A road drive of about 2½ hours from Srinagar takes you to Pahalgam. Buses and taxis are operated on a regular basis from Srinagar and other major cities. its a nice post.. its realy a good place.